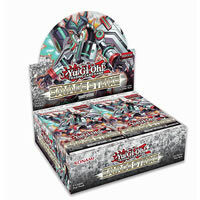 Heat things up this winter with Yu-Gi-Oh! 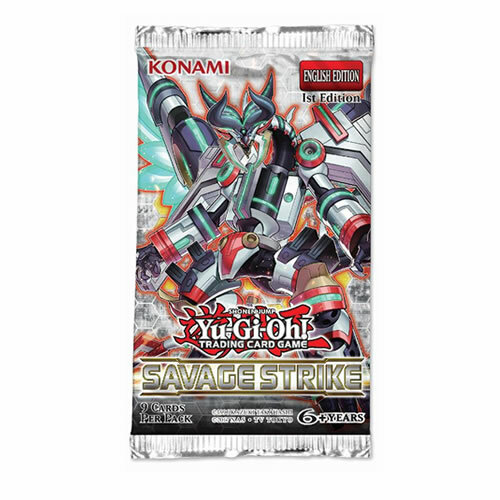 TRADING CARD GAME Savage Strike, the first 100-card booster set of 2019! Synchro Summoning crashes into the VRAINS! The first Synchro Monsters from the Yu-Gi-Oh! VRAINS anime series will make their real-life debut in Savage Strike! This winter belongs to the undead! Following on from Hidden Summoners and Structure Deck: Zombie Horde, Savage Strike introduces even more Synchro-based Zombie monsters. Return to Neo Space! Elemental HERO Nebula Neos and Neo Space Connector were just the beginning! More new cards to power up Decks based on Jaden‘s Elemental HERO Neos are on their way in Savage Strike! • Introduces Synchro Monsters from Yu-Gi-Oh! VRAINS for the first time in real life. • Features more new cards to power up Decks based on Jaden’s Elemental HERO Neos. • Savage Strike introduces even more Synchro-based Zombie Monsters.